By Laura Hazard Owen @laurahazardowen March 25, 2019, 10:48 a.m.
Fool me once, shame on you. Fool me twice, shame on me. Fool me seven times, well…how much money do you have, again? Less than a year after Medium abruptly canceled the membership programs of its remaining publishing partners, the company is coming back around like an ex promising you they’ve changed. “We are seeking partners to create new publications on Medium, which we will help fund and distribute,” it said in a blog post Tuesday. It’s not the first time, of course. Medium is nearly seven years old. It’s raised $132 million in venture funding, and it is not profitable. It has undergone countless pivots. When I saw that new search for “partners” last week, I started trying to count how many — and then ended up documenting the history of Medium via articles and tweets and Ev Williams statements.1 Why do that? I don’t know. I guess I was trying to figure the company out in my own head. But Medium has also done a number of not-so-great things. It’s sometimes been called a “YouTube for text,” but unlike YouTube, there are no Medium-native stars. Rather, the company has typically hired and promoted the work of editors and writers who were already well known. Many of them were able to head back to legacy publications or other ventures when their Medium publications folded; people whose careers weren’t as established, or who were starting publications on Medium from scratch, often haven’t been so lucky. And partnering with Medium arguably hastened the decline of some beloved sites (R.I.P. The Awl). How much does that matter? (On a large scale — it obviously matters a lot to the individual people whose careers have been affected.) Even if Medium never raises more money from VCs, Williams’ personal wealth hovers in the wings as a possible savior — if not to the entire publishing industry (definitely not), then maybe to some individual publication. If not to some individual publication (probably not), then maybe to an individual writer or two. That promise of not-totally-evil money has kept people coming back, pulling new writers and editors in when the old, disillusioned ones leave or get kicked out. 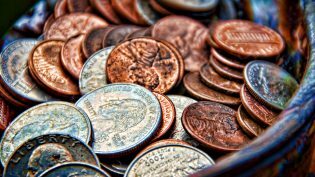 The promise of cash and the freedom to write what you’re passionate about has always been there, because Williams — who truly seems to hold an idealistic vision of what Medium could be — has never stopped promising it (well, except for a brief weird period in 2015 when he tried to reframe Medium as a kind of social network). One big thing that sets Medium apart from other unsuccessful media ventures is that its flow of money has never been completely shut off. I want to be clear: I don’t blame people who go do something for Medium. Seriously, grab that money while it’s there. In 2015, after I was laid off, I talked to people at Medium about starting a parenting publication there. It was something that I might have received a few thousand dollars to do. I joined Nieman Lab instead, but that freedom (?) and potential money still float in and out of my mind. Some of the news stories I’ve written about Medium have been too credulous; I’ve taken too much of Williams’ startup speak at face value. 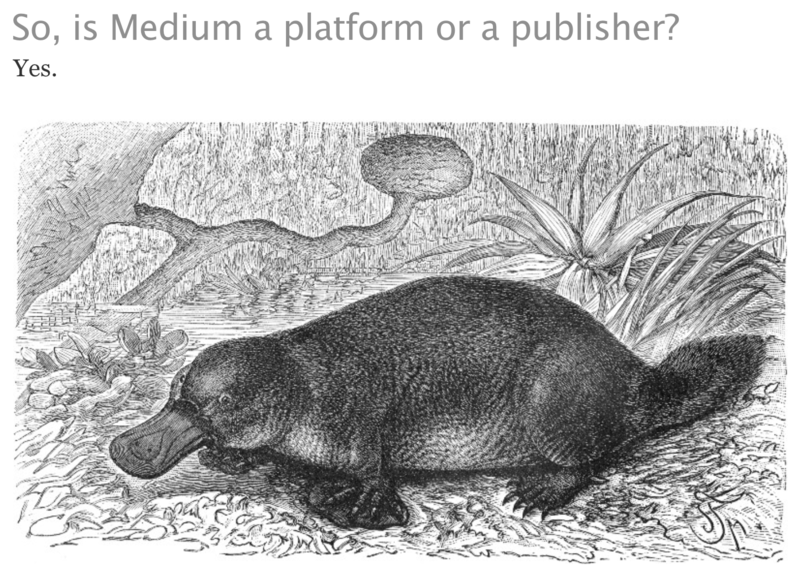 I (and many others) devoted what now seems like way too much mental energy to the “Is Medium a platform or a publisher?” question. Sure, Williams’ frequently shifting stated vision didn’t help, but that angst still feels ridiculously quaint in 2019. The space Medium occupies stands between two poles. On one side, you’ve got people who want to hang out a shingle online and own their work in every possible sense. On the other, you’ve got people who are happy in the friendly confines of Facebook and Twitter, places where they can reach their friends effortlessly and not worry about writing elegant prose. Is there an audience between those two poles that’s big enough to build something lasting? It’s an internet where every blog is Daring Fireball, where every post looks like Instapaper, where every discussion is led by its rightful leaders, and where ads are considered no better than spam. It’s barren but design-forward, and, at least at the moment, kind of elitist. It’s not clear how it’ll make money. Maybe it won’t! Maybe that’s part of the idea. Producing a “feed” subsumed in the apps of our time is not a business. It might (SORRY) own the means of its production but it won’t own the means of its revenue. Except, of course, they all do have an interest in being a business. Or will. It’s great to build a fun product! But it’s not like people are going to spend millions on making something and have it be a happy write-off in three years. Ev Williams says, “Our goal is to help people pay attention to the most valuable stuff first and to have the best ideas win.” Medium is using an algorithm to order posts “by our best guess of the relative quality/­interestingness of the different items — according to the people who have seen them.” And it is “not obsessed with the new,” so don’t worry about publishing frequently. Kate’s job is to help get great stuff onto Medium. She’ll do this in a variety of ways — by discovering, encouraging, soliciting, commissioning, and contextualizing interesting ideas, authors, and institutions. She’ll do this from New York — home of so many of the world’s best storytellers. And she’ll be building a small team to help her. Log in, and you’ll be greeted with a diverse mix of content: a picture of birds in the snow, a love story, and a first-hand account of donating a bag of cash at Planned Parenthood dressed as a cat burglar. I enjoyed the stuff I read more than I expected to, although it’s hard to say whether that was because of Medium’s secret sauce or because the early adopters are already good writers. However, there’s no hard evidence of demand for the kind of things Medium offers. People definitely want to read news online, and they definitely want to see their friends’ updates on Instagram, and they definitely want Harry Potter fan fiction. But do they want random anecdotes and backyard photos from strangers? It’s a smart bet to watch what this team does because of its experience, but also because they are in a mode of taking their time and seeing what works. Whenever you see a well-established team, much like Path, taking its time to make beautiful things, you simply have to take notice. They are the most dangerous when it comes to disruption. Evan Hansen, who was the editor-in-chief of Wired.com, joins Medium as a senior editor. Medium is operating as its own company, with a staff of 30. Medium acquires the longform science journalism site Matter, which originally launched in 2012 with a successful Kickstarter campaign. Williams: “We’re going to be a great place for professional writers to write. The magazine is the analog for what we’re doing.” At this point, Medium has five editors who are working to “get great content on the system and help curate what’s there,” and some writers are getting paid. The platform is still invite-only. There are lots of questions about whether Medium is responsible (especially in this invite-only phase) for its posts. Medium takes the opportunity to insist that it is a platform. @dangillmor @kouroshk @declanm We are a platform. Any changes to an article are up to the author. Medium has some clearing up to do. It needs to get the message across that even though it sometimes appears to endorse some content — by promoting the posts, juicing their distribution, and, in some cases, even paying the writers — that doesn’t mean it is vouching for its veracity. It would help, also, if the company tweaked the titles of its editorial team so it was clear that those people are responsible for direction and curation rather than actual copy-wrangling. And it should more clearly explain how Matter fits into the overall scheme of things. What are the boundaries and limits of Medium? If anything defines a publication, it is what it *doesn’t* do. More specifically: is Medium a place where Peter Shih should post about San Francisco women he thinks are ugly? Is Medium a better place on the Internet or is it any old place on the Internet? Medium could have ‘certified content’, that which has been fact-checked and signed off by an editor, and advertise it as such at the top of the page. The rest would be uncertified pieces, marked as such too, which would raise readers’ own fact-checking radars and distance the editorialized content from Medium. But no doubt that uncertified content will continue causing problems. Now, misinformation, no matter the source, can get around the world a hundred times before the truth even finds its shoes. Medium matters because it helps to define whether great writing finds a sustainable expression on the web in the post-banner-ad era. Medium matters because it pushes blogging, the native medium of the web, to a new stage of evolution after a decade of relative stagnation. “Reading the news doesn’t make us any smarter,” writes product lead Pete Davies. 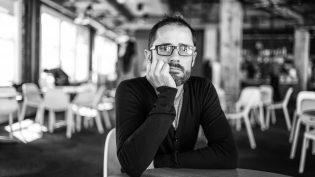 The New York Times profiles Ev Williams and Medium. [Williams] wants to see better journalism emerge on the issue of climate change, asserting that views have been manipulated by an avalanche of lies coursing through the Internet. But what’s to say that a mathematically mediated site — basing quality on reader attention — will elicit the truth? Looking at Medium, along with Vox, and Glam, and even AOL, I think I can begin to discern the vague outlines of how digital publishing might eventually be able to deliver the kind of scale and impact that brand advertisers demand from TV and glossy magazines. 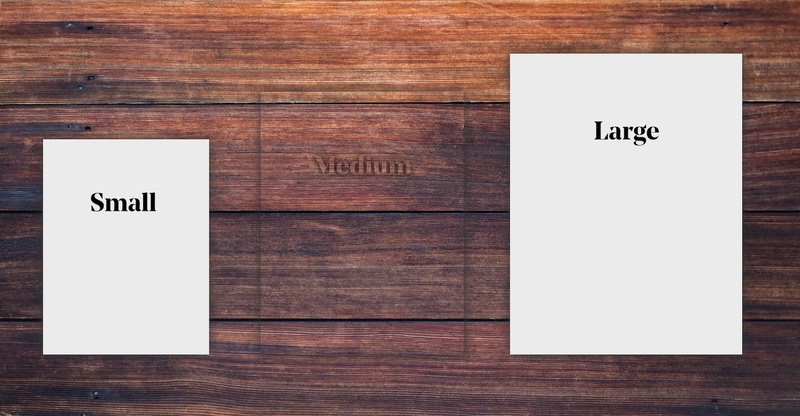 Medium launches a new iteration it labels Medium 1.0. “It has all the core components to be the simple-but-powerful idea distribution system we set out to build,” Williams writes. Jonathan Glick of the social network Sulia coins the term “platisher.” People hate it. Now medium is GOOD software, but it's not a good deal for writers. That should be part of every analysis of medium, but they leave that out. the Cowbird, a brood parasitic cuckoo that lays its eggs in the nests of other birds when they are away. The host mother bird unknowingly nests the foreign eggs and, when they hatch, the cowbird chicks consume an inordinate amount of resources, diverting them away from the native chicks. Medium runs advertising for the first time: a series of posts sponsored by BMW. Medium is a for-profit entity. Definitely we will make money…The sooner we get money flowing through the system and allow other people to make money, that drives more professional content. That’s not necessarily our business model for the whole thing, but it is useful now to drive more good stuff. The White House publishes the text of President Obama’s State of the Union address to Medium, where it gets more than 400,000 views (“That’s our best engagement yet on Medium”). Medium makes it easier to write short posts and tag them. Medium says it has 25 million unique visitors a month; comScore says it has 3 million. Its preferred metric is time spent reading. Steven Levy publishes Medium’s first quiz. Medium raises $57 million, bringing the total amount it has raised to $82 million. Medium partners with publishers including The Awl, Discovery, Fusion, Steven Johnson’s How We Get To Next, Mic, MSNBC, and Travel + Leisure. Brawl on Medium between Amazon and The New York Times! The Awl Network’s personal finance site, The Billfold, moves to Medium. “In an age of ad blocking, [Medium will] help us figure out new revenue streams so we can continue to do what we’re doing,” Mike Dang writes. Matter wins a National Magazine Award for Joshua Hammer’s story on Ebola. We eliminate the need for any investment in tech, provide access to a growing network oriented towards meaningful engagement, and deliver constant, always-on innovation from a world-class product development team, whether you’re a single blogger or a large commercial publication — all for free. 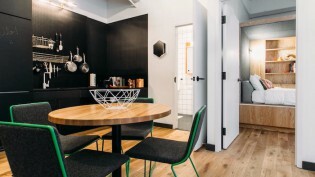 Medium spins off Matter as “sort of a studio and sort of an incubator.” “Matter is going to be for digital storytellers what HBO and Amazon Studios are for TV makers, or what the best incubators are for startups,” writes Mark Lotto, who was Medium’s head of editorial and with the change oversees Matter. Matter Studios is owned by Williams and backed by an initial seven-figure investment from him. The publications were always an opportunity for us to learn more about our platform, as well as to rolemodel what other publications can do, and they’ve been super helpful in that. In talking to The Ringer and others, having these professional publications on the platform helped a lot in making those deals. But long-term it’s clearer and clearer I think to the world that Medium really is a platform, and there may be flagship publications that we own, but that’s not the gist of it. For now, nothing has changed about Backchannel. Did Williams tell the editors and writers he hired to launch and run Medium publications that they were lab rats? 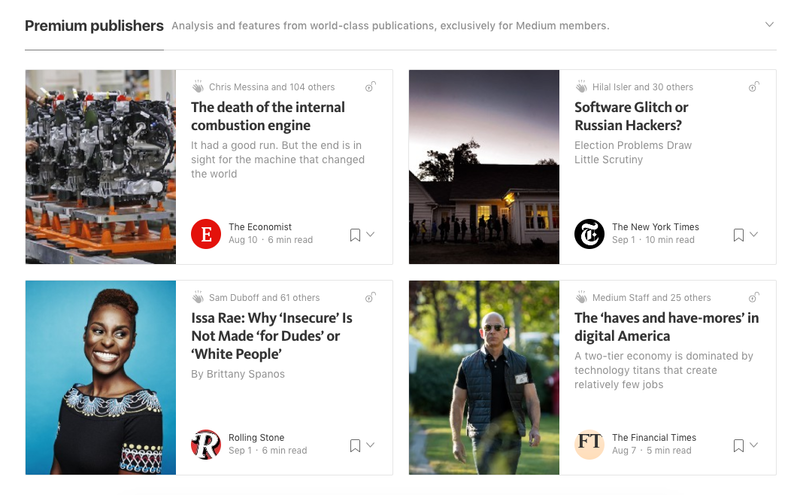 Medium announces new tools for publishers. Some publishing partners, as part of Medium’s “revenue beta program…available by application only,” will be able to do sponsored content posts and membership. Medium announces the new offerings at an event in New York. Seven months after Medium raised $57 million, it raises another $50 million in funding, bringing the total raised to $132 million. The investors in this round reportedly value the company at $600 million. Steven Levy is in talks to leave Medium and bring Backchannel, the tech vertical he started there, to Condé Nast. Evan Hansen leaves his position as Medium senior editor for Periscope. We profile five of the publishers who transitioned their sites to Medium. Williams announces that Medium is laying off a third of its staff (50 people) and shutting its offices in New York and Washington, DC. Our launch day, today, was scheduled in early December. We received news of Medium’s pivot and attendant downsizing when the rest of the world did, around noon. Now Medium is shutting down its publisher program, which is sort of unexpected given that (in my opinion) they had mostly opted for traditional ad sales for monetization, which is what they were theoretically going to find an alternative to. So I respect Ev, and believe that being proactive when there’s a problem is important, but I’ll admit I’m baffled when the stated rationale for throwing in the towel is that ad-backed media is broken. If we agree that it is, it was broken when Medium began the publisher program, and had they listened to any people who’ve been publishers before (many of the publishers in their revenue program, for example), that would have been obvious. Right now, we’re very concerned about the future of our site’s partnership with Medium. What we were sold when we joined their platform is very different from what they’re offering as a way forward. It’s almost as if Ev Williams wasn’t concerned that he was pulling out the rug from underneath publishers who had placed their trust in his vision for the future of journalism. Pacific Standard and Film School Rejects leave Medium. Medium adds members-only audio versions of stories. Bill Simmons moves The Ringer from Medium to Vox. Business Insider reports that one reason for this is that The Ringer’s traffic has fallen — from 1.2 million unique visitors a month at launch in July 2016 to 357,000 uniques in April 2017, per comScore. Backchannel moves back to Wired. “You CAN go home again!” Steven Levy tweets. The Washington Post launches The Lily, a brand for millennial women. It will be distributed on Medium, but also on Facebook, Instagram, Twitter, and in an email newsletter. The Economist does a number of experiments (none paid) on Medium. ThinkProgress leaves Medium to go back to WordPress. Previously, if people wanted to get paid, we were working with them individually, accepting pitches, going back and forth doing light editing, signing contracts in a more traditional way and paying them on those terms. The big change, essentially, is that once they’re in the program, people can publish themselves and get paid on performance. It’s a dramatic change, but it was always our plan to figure out how to do this. Owen: Where is the money to pay the writers coming from? Is it coming from you, Medium the company, or is it coming from readers? Williams: Well, it’s a little bit of an arbitrary distinction because all the money comes to us, and we are paying out the money. The budget will be pegged to the subscription revenue because it needs to be. We can’t pay out of pocket for all the writing. We will pay writers from the subscription revenue. Owen: But, I mean, is Medium the company contributing money to the writers directly as well? Williams: Like any marketplace, we are going to seed it first. Usually, you need to seed supply before you have enough demand, so there’s something for people to come to. In the beginning stages, we’re not limiting the payouts to subscribers. We are investing more than the current amount of subscriber revenue to seed the market. Owen: What’ll be the point you have to get to where all of the money is coming from the readers? When can you stop seeding it? Williams: It’s pretty hard to predict. I look at it this way: If you compare the monetization from the subscription product to a web-based ad product, even at our relatively small price of $5 a month, subscription is a phenomenally better monetization model for a reader. Therefore, there is a lot more money for the content that is engaged with than the content that is available to pay writers from an ad-driven model. So for those who do well in the program, there’s every reason to expect that they can make more money writing here than they could at an ad-based publication. Ev Williams is trying to brute force his way through the problem of publishing and monetization. In doing so, he has upended people’s lives — he has upended good publications. I understand the desire to be agile and to pivot, and to try new things when things aren’t working. But it’s destructive — you can’t try people and things on, then discard them. It’s not how a media company or a publishing company can work. The Awl and The Hairpin shut down. Medium cancels the program that had let publishers use its platform to offer paid memberships; 21 publishers are affected. Medium hires Jessica Valenti and Douglas Rushkoff as columnists. Both will write exclusively for Medium. Siobhan O’Connor: “Medium’s business model is designed to serve writers and readers — that’s it.” She says that by the end of 2018, Medium will have spent nearly $5 million paying for commissioned and paywalled work. Bloomberg reports that Williams has discussed buying New York Magazine. “We are going to significantly increase our investment in original editorial in the next year,” Williams tells Bloomberg in a statement. Freelancers on the Study Hall listserv report that Medium is paying some writers as much as $2 per word. The Bold Italic, which had been a Medium publishing partner, is acquired by Medium. 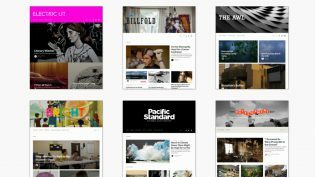 Medium plans four “magazines,” or content collections that will be available behind its $5/month paywall. One of them is OneZero, a tech and science publication. A tech pub on @medium? Great idea! Williams announces that all Medium stories will be free if you come to them from Twitter. It doesn't affect compensation—assuming you mean for Partner Program. That's determined by readership from paying members, which will still be counted (assuming they're logged in). We will certainly watch that, and if it has a negative impact, we may change this in the future. As it stands, Twitter is a relatively small (but important) part of our traffic, and we expect this to have a positive effect. The New York Times reports that Mark Bittman is launching a food publication for Medium. POSTED March 25, 2019, 10:48 a.m.
Owen, Laura Hazard. "The long, complicated, and extremely frustrating history of Medium, 2012–present." Nieman Journalism Lab. Nieman Foundation for Journalism at Harvard, 25 Mar. 2019. Web. 24 Apr. 2019. Owen, Laura Hazard. "The long, complicated, and extremely frustrating history of Medium, 2012–present." Nieman Journalism Lab. Last modified March 25, 2019. 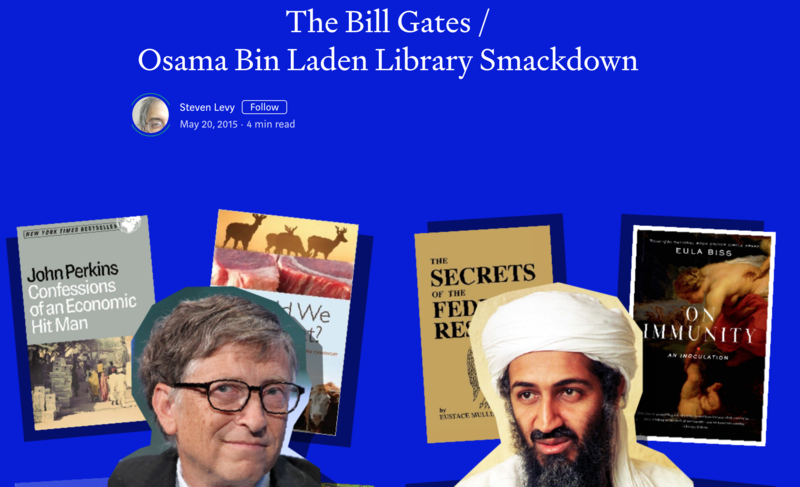 Accessed April 24, 2019. https://www.niemanlab.org/2019/03/the-long-complicated-and-extremely-frustrating-history-of-medium-2012-present/.